How can the media cover climate change? How do Vietnamese journalists report the topic in their country’s media and how do German journalists cover it for German audiences? 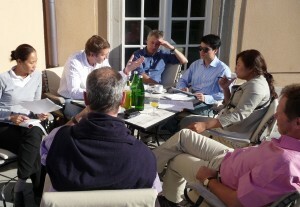 These were the key questions for the first German-Vietnamese Media Dialogue in late September 2011. Journalists from different media in both countries got together to discuss the issue in Germany. The German Federal Foreign Office had invited them to the four-day event, providing a forum for discussion, presentations and excursions. DW-AKADEMIE and GIZ-AgenZ planned and organized the event. There are key differences in how journalists in both countries can cover environmental issues and the effects and causes of climate change. Vietnam is one of the countries worst affected by the impacts of climate change: It has a coastline of more than 3,000 kilometers and is experiencing an increase in typhoon activity, heavy rains and dry spells.